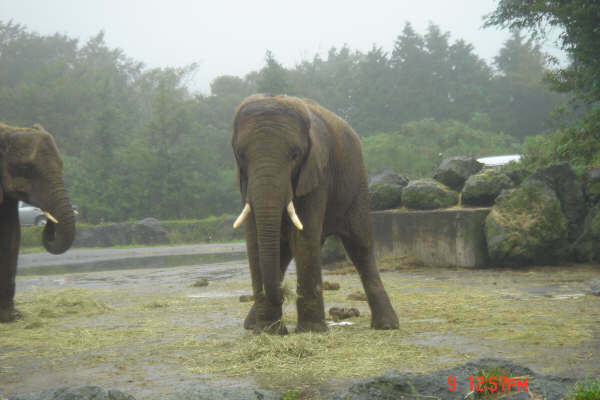 Fuji safari Park in Susono City at the foot of Mount Fuji in Shizuoka Prefecture is one of only six full-scale zoological parks you can enjoy visiting all year round. Open in 1980, it includes a vast Safari Zone where many animals live in controlled freedom. They can be observed from your own car or from the car bus inside seven different zones for bears, lions, tigers, cheetahs, elephants, and many other animals from rhinos to flamingoes. 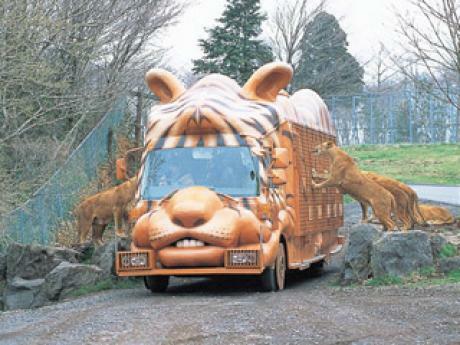 The “Jungle Bus” with wire netting over windows is popular because visitors can feed fierce animals at close quarters. The “Animal Village” or “Fureai” in Japanese, allow visitors to come into direct contact with more than 22 kinds of small animals. 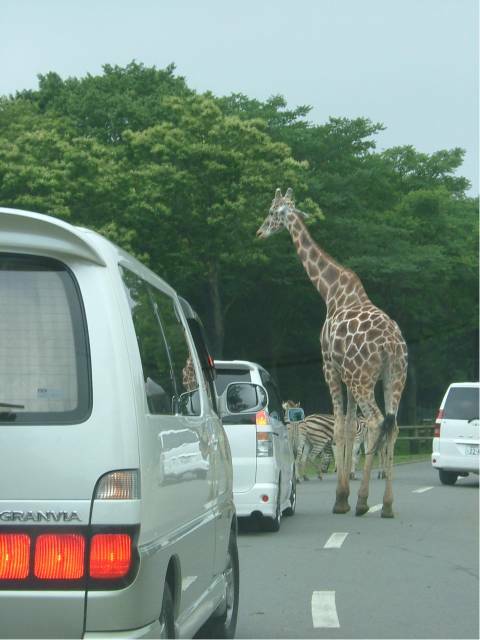 Depending upon the season, a “Night Safari” allows visitors to observe animals at night. About 35 minutes from Fuji IC. Entry fees: Adults, 2,700 yen. 4 years old~Junior High School students, 1,500 yen. Group discount available from 15 people or more. Over 65 years old: 2,000 yen. Free parking available for 1,400 passenger cars.